We've completed The Great Hunt. So, as is our tradition, we're releasing an episode made up of our trademark tangents. The Chosen have prepared a list of questions that we answer during this episode. Lots of speculation on the Wheel of Time TV show, perhaps we'll hear some news at Jordancon. We read constantly, and use this opportunity to talk about the other series we like including Mistborn and everything by Brandon Sanderson, Broken Earth, Kushiels Legacy, Wizard of Earthsea, sword of Shannara, and many many more. We talk a lot about our upcoming new podcast Mistborn Spoilers. Check us out on Instagram, Facebook, Twitter, and Discord. Seth and some of the Chosen on Discord are starting a D&D game online, most of us have played table top type RP games in the past. 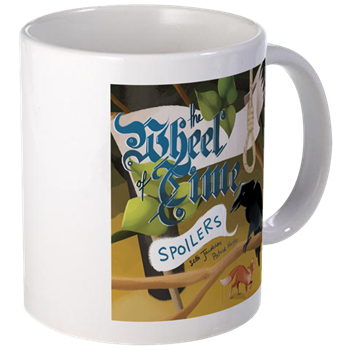 We're really stoked that we've tapped into the awesome Wheel of Time fan community. The Friends of the Dark (podcast) are everywhere. The Chosen have also pledged to fly us to JordanCon which we're SO SO thankful for. It's going to be super cool to meet other fans while we're there, and we'll be making a special episode while we're at the Con. Each month, we inch closer to becoming full time podcast creators. It's crazy exciting. We got our first offer for a sponsorship as well, from Red Ocean Tattoo, a super talented artist out of Savannah, GA. We'd encourage you to go check out their social media, and go get some ink from them if you're nearby. See you at JordanCon.